The Stone Soup Community Education Garden was established in 2007 to provide children and families with hands-on environmental education that inspires a love of nature, plants, and creatures while working with the community to sustain a flourishing organic urban garden. 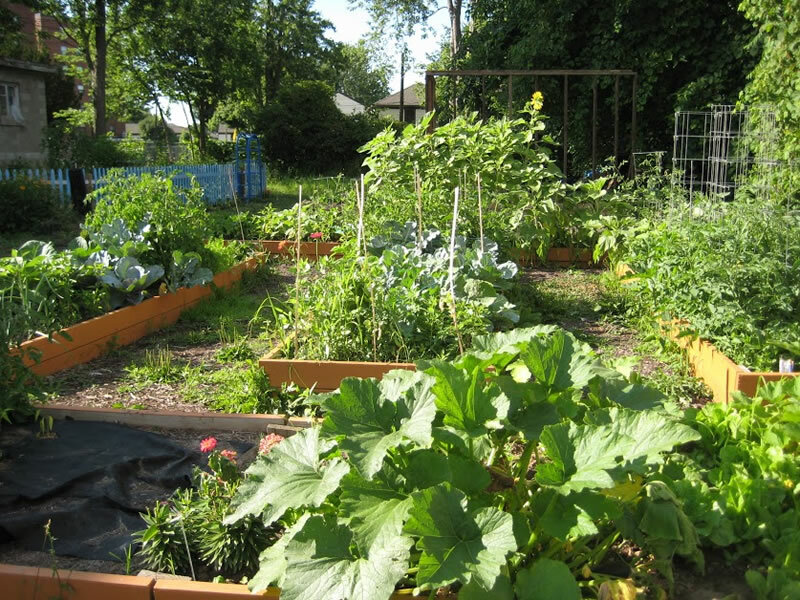 The Garden is maintained by small communities of people such as The Brady Faith Center, The Huntington Family Center, MANOS Early Education Program at Seymour, men from Altamont who live next door and other individuals and families who live nearby. We welcome the ongoing participation of other schools and youth groups for experiential learning and community building. The model of the garden is shared harvest as it is open at all times for anyone to enter and harvest as much as they can hold in their hands. We grow many different vegetables, herbs, fruits, and flowers. Most importantly we grow love for the garden, a vision of a sustainable world and caring relationships to bridge communities as we work side by side with people all over Syracuse! We garden on two empty city lots in raised beds and French rows. There is a fenced in herb and flower garden in the middle and many wonderful gathering spaces to sit and relax, meditate, reflect and learn. We are a seasonal garden, that moves with the rhythms of Mother Nature. We are working on building new collaborations and programs that will nurture growth in our garden and community. The seedling programs we are working on include opportunities to include individuals and families in education, mindfulness, and healthy feasts that inspire healthy living. Currently, we have established educational programs with MANOS, Huntington Family Center, Brady Faith Center and Seymour School that run in the spring, summer, and fall. Please contact garden coordinators Emily Nisco-Frank or Kelly Schalk to find out more about getting involved at this garden.